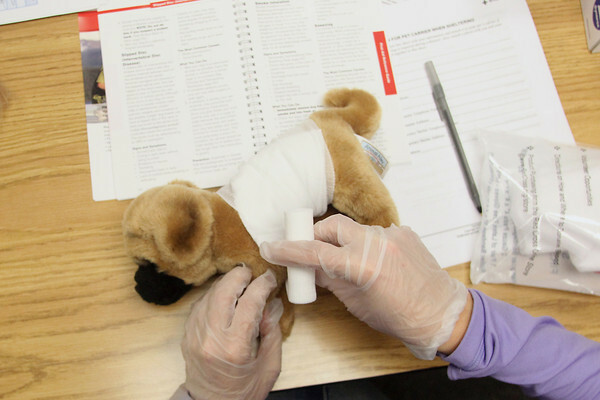 Stacey Eastway (Cq) of Traverse City practices bandaging a stuffed animal during Saturday's pet first aid class at the American Red Cross of Northwest Michigan in Traverse City. Students learned how to perform CPR on their dogs, as well as deal with choking, cuts and other emergency situations. Stuffed animals were used in place of real animals.